Our groups are a part of a local Reforestation & Conservation Project in Costa Rica. Eventually these trees will form a Biological Corridor and provide food, shelter and habitat to local wildlife. Learning Adventure Tours is family owned. We are a tour company specializing in Eco-tours to Costa Rica. We offer hands on local experiences, community service, guided nature hikes, local cultural immersion, Adventure and volunteering with local conservation projects. Get ready for a beautiful hike. These hanging bridges are amazing! Great views of the Arenal Volcano, rainforest, birds, mammals, plants, flowers and many other fun things that resides in this magnificent rainforest. We set the bar high! From our safety-first approach, small group sizes, conservation projects that have a long-lasting impact on the local communities, to the 24-hour customer service by the owners personally and the carefully thought out itineraries. Here are a few activities our guests will participate in when joining us on a tour. This company was Founded by Kenneth Valverde-Martinez and his wife Tisha Valverde-Westwood with the vision for offering a real Costa Rican Learning experience and adventure. 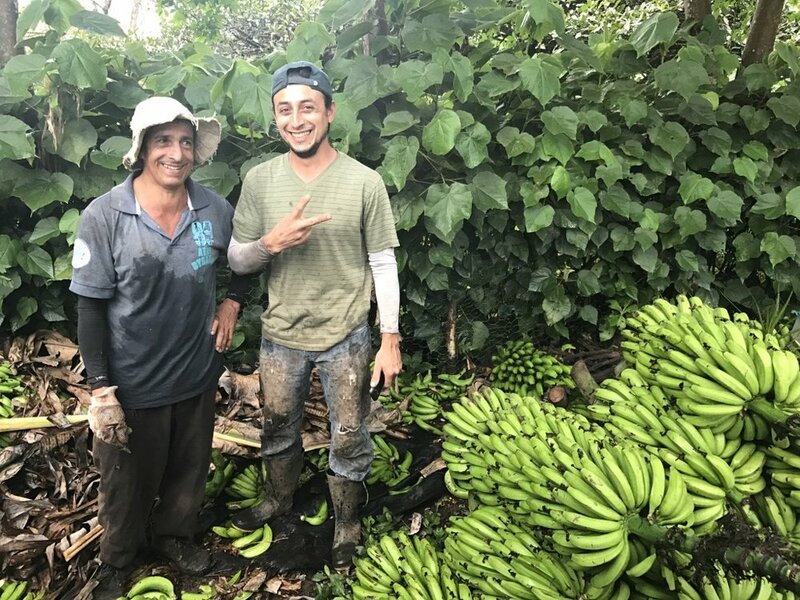 We work with local farmers, schools, businesses and conservation projects that we know personally, to ensure your experience is always one that will have a lasting impact. Engage with a local school community. Learn how this award winning school is using their Carbon Zero Approach to run their school. See how their efforts help the children and the community. Learn about their water purification system, ways to conserve energy, and how they recycle almost everything that they use each day along with cost savings by tending to their own school garden. Assist with bringing donations to help a local Wildlife Sanctuary. Their objective is to assist in the Recovery of all the native wildlife brought to their facility and to place the animals they can back into their perspective habitats once they are ready to return to the wild. they do amazing things! Learning Adventure Tours prides ourselves by making a difference in the lives we touch. Not only with our guests, but in the local projects and communities that we work side by side with in Costa Rica. We believe by experiencing it, our guests will truly understand the impact that we can make in our world. Visit a beautiful Waterfall Garden and see 5 waterfalls, over 26 species of Hummingbirds, Frog garden, Jungle Cats and a Butterfly Garden near the Poas Volcano in the middle of a cloud forest and a rainforest. View over 25 species of Butterflies that are indigenous to Costa Rica. Learn about the life cycles of these beautiful creatures. You want adventure? You got it! Join us on some of the most exhilarating ziplines in Costa Rica. This company follows our safety first mentality. Come with us for a birds eye view "literally" of the beautiful rainforest near the Arenal Volcano. You will not be disappointed. We hope you will join us on our journey to create a unique, positive, hands on learning experience for all lives that we touch. One tour at a time. Hasta Pronto! Visit a local Organic Chocolate Farm and learn interesting aspects of cocoa and chocolate, from its origin and history, participating in all the production process, from the harvesting of the fruit, drying and grinding of the seed, also the developing of the traditional drink of our ancestors, and of course enjoying a high quality organic chocolate. Visit a local family Organic Coffee Plantation- Costa Rica is famous for its coffee. Since the middle of the 19th century, the coffee bean has played important social, economic, and even political roles for the country, with an influence that extends into today. We will be participating in picking coffee and learning all the steps of the coffee process. What are guests saying about our tours? If You Have Questions And/Or Are Interested In Joining Us On A Tour - Please Contact Us. We Look Forward To Hearing From You. Thank you for contacting Learning Adventure Tours.